A botched breast surgery in Nairobi led to the death of a woman whose husband still insists that she was not supposed to die. Joseph Musuya Mulupi lost the love of his life, June Wanza Nyamai Mulupi in June 2018. She died 48 hours after a liposuction and breast surgery. According to Joseph, she was in perfect health and this was just a cosmetic procedure that she chose to do. Although he was convinced that she was the most beautiful woman he had met, he promised to support her when she said she wanted the procedure. Contrary to what people have said, my wife loved herself. She would have cared less what people thought of her body. She was doing this for no one other than herself. They got referrals from friends and chose to do the procedure at Surgeoderm Healthcare Clinic, in Nairobi’s Kilimani estate. On March 24, 2018 June underwent the first liposuction of fat from her abdomen, which was then transferred, to her breasts.She did not suffer any complications. A follow up procedure was scheduled for June. “There would be others until the desired result was achieved. When she returned to Surgeoderm on June 5, she was to undergo the procedure and her husband would pick her up at 9 in the evening and head to their home in Rongai. He hung around at the facility until 1am but nurses said he could not see his wife as she was still resting. He left and returned in the morning but found his wife 'dead asleep'. He left the clinic again and returned at midday. But at this time, he was informed that his wife was weak and was not eating. It got to a point where she was placed on drip. By evening on that day, things got worse and the doctor advised him to take his wife to another hospital for further treatment. 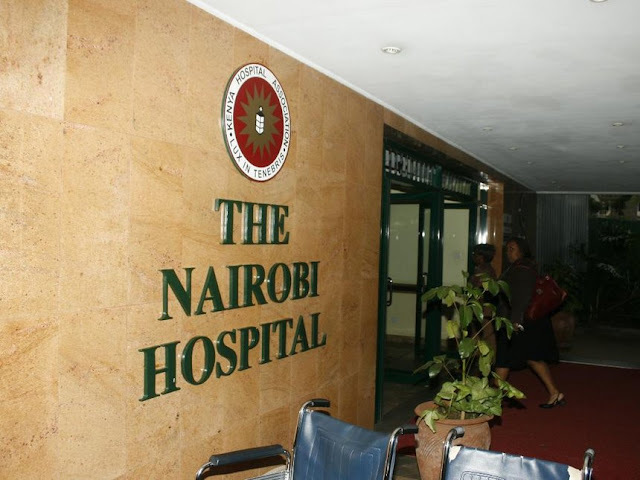 Aga Khan Hospital refused to admit her and she was then taken to the Nairobi Hospital. Her condition had deteriorated and when she arrived at Nairobi Hospital, doctors tried to stabilize her and had to admit her into the High Dependency Unit. June was wheeled into surgery at 4pm. She suffered cardiac arrest twice. She never emerged from the second one. The autopsy report, done by chief government pathologist Dr Johansen Oduor, concluded that June died out of pulmonary edema with suspected sepsis/hemorrhage that occurred after surgery.The pathologist found two stitched perforations on her small intestines.